The Five is the best show on Fox News. 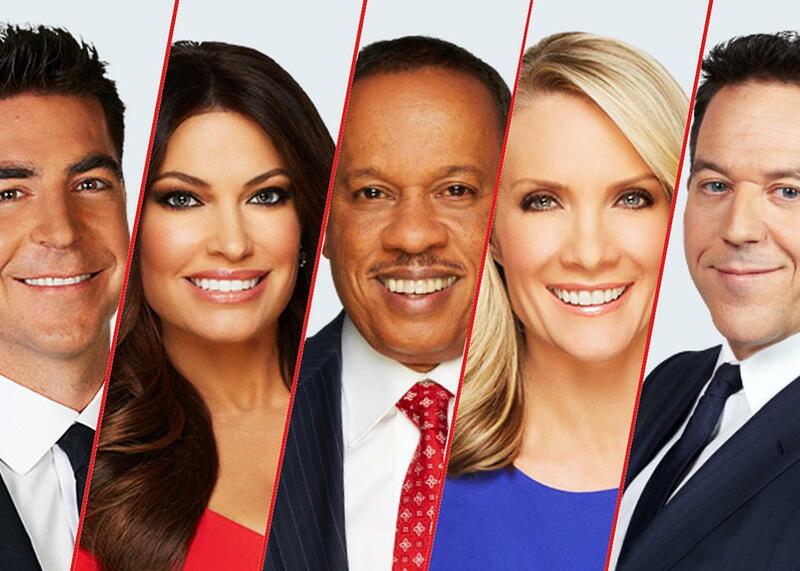 Jesse Watters, Kimberly Guilfoyle, Juan Williams, Dana Perino, and Greg Gutfeld of The Five. In an effort to ensure that this blog devoted to America’s foremost fair-and-balanced news network is itself fair and balanced, I have been trying to leaven my criticisms of Fox News with praise for those programs and personalities I actually enjoy. Nothing is all bad, after all, not even Fox News, and the network even airs some shows that might reasonably be described as good. One of those shows is The Five, the rowdy early-evening talk show that somehow manages to be consistently entertaining despite the involvement of Jesse Watters. The Five airs at 5 p.m. and features a five-person panel which, on some nights, will discuss as many as five different topics. I do not know how the show got its name, but I guess it doesn’t matter. I am a little bit surprised at how much I enjoy The Five. The show is a pretty standard Fox talker: regurgitating the same stories, insights, and conclusions seen elsewhere on the network. If Fox & Friends hits a story hard in the morning, you can bet The Five will discuss it in the early evening and that it will ultimately land in the same maddening place the morning mouthbreathers did. But whereas discussions on Fox & Friends tend towards the insipid and enraging, The Five’s treatment of the same topic will be lively and engaging. Though it’s easy to predict where the show is going, it’s fun to watch its hosts find their way to the destination. The difference comes down to the talent. For those who might not realize how much casting matters, I would direct you to Outnumbered, Fox’s noon panel show, the hosts of which exhibit all the chemistry of five strangers trapped in an elevator. The hosts of The Five actually seem to like each other—there is more intrapanel teasing in a single episode than on every other Fox panel show combined. It is sort of endearing. The five regular panelists—Watters, Kimberly Guilfoyle, Greg Gutfeld, Dana Perino, and Juan Williams—complement each other nicely. It is the rare Fox News show in which the hosts are allowed and encouraged to disagree substantively without lasting rancor. Williams is perhaps the lone Fox News liberal who is able to finish his sentences without someone cutting him off. Perino, who served as White House press secretary under George W. Bush, is what passes today for a moderate Republican. They are the adults on the panel, and their commentary is generally informed and intelligent. Guilfoyle and Watters are more in line with the Trump agenda. Watters is an oaf, but oafs are in ascendance these days, so it’s good to have one on the panel. I disagree with most everything Guilfoyle says, but I like her all the same. They are both willing to laugh at themselves and their colleagues, and they both enjoy making fun of Gutfeld. Gutfeld: I have a question for you. Sarah Huckabee Sanders, obviously, she has her famous dad. Could you ask her what it’s like to have a socialist for a father who lost horribly to Hillary, who cheated him out of the nomination? Perino: No, I don’t think so. But I did talk to her a little bit about her dad. Perino: I know who you’re talking about. Gutfeld: Well, answer the question. Why are you evading the question? The Five leaves room for weird little asides like these, which is why I like it. The panelists sometimes say hateful and stupid things, but they are clearly people. This is a Fox News talk show with humanity, one in which the participants talk not from prepared talking points but in a rambling, discursive fashion. An exchange from Tuesday, after Republican Sens. Bob Corker and Jeff Flake had each individually spoken out against Donald Trump, is a good example of what I like about The Five. The segment started with Gutfeld, who went off on Flake for playing the “think of the children” card in his Senate retirement speech. “I hate the ‘What about the children?’ thing, because that is—basically he’s saying, we’re bad people because we’re not agreeing with him. Screw you. Sorry. And I like him. Imagine if I didn’t,” Gutfeld said. “That would be uncomfortable because that certainly was a little weird,” said Guilfoyle. The Five panelists are always busting each other’s chops. “The thing that’s interesting is [Flake] voted with President Trump 92 percent of the time,” noted Perino, who went on to add, accurately, that Flake is probably more conservative than Trump is. “Flake has now announced he’s part of the resistance, and good riddance. We don’t need him. It’s fine,” said Watters. “Look at your hair and tie. And your hands,” said Guilfoyle. Take that, you oaf! “I’m not complaining about being bullied,” said Watters. “Your hands are soft like a baby,” said Guilfoyle, and then everyone started laughing again. I laughed, too. Jesse Watters has soft baby hands and his co-workers know it. It was funny! When I watch The Five, I sometimes feel like I am overhearing a heated albeit good-natured discussion at a bar. “He seems like someone I’d like to get a beer with” is a poor reason to vote for a political candidate but a perfectly valid reason to watch a political talk show. More than any other show on Fox News, The Five nails the beer-worthiness metric. I’m not saying that it’s intelligent television, or even that you will learn much about public affairs by watching. But it makes me laugh more often than it makes me despair over the future of our country; and that, given the shows it shares company with, is worth noting. It’s also possible that, two weeks into this assignment, I am beginning to suffer the effects of Stockholm syndrome. Who can say? Watch The Five, weeknights at 5 p.m. on Fox News!